File photo of Roger Federer. Add a century of career titles to Roger Federer's staggering list of tennis achievements. Switzerland's 20-time Grand Slam champion became the second male player to win 100 tour-level tournaments in the professional era when he beat Stefanos Tsitsipas 6-4, 6-4 in the final of the Dubai Championships on Saturday. American Jimmy Connors is the other player to reach the milestone, ending his career with 109 titles. "Welcome to the 'Triple Digit' tournament victory club," Connors said in a Twitter post to Federer, "I've been a bit lonely－glad to have the company!!!" "It's been a long, wonderful journey, and I have loved every minute," Federer said. "It's been tough, but the sacrifice has been very, very worthwhile and we'll see how much more I've got left in the tank. 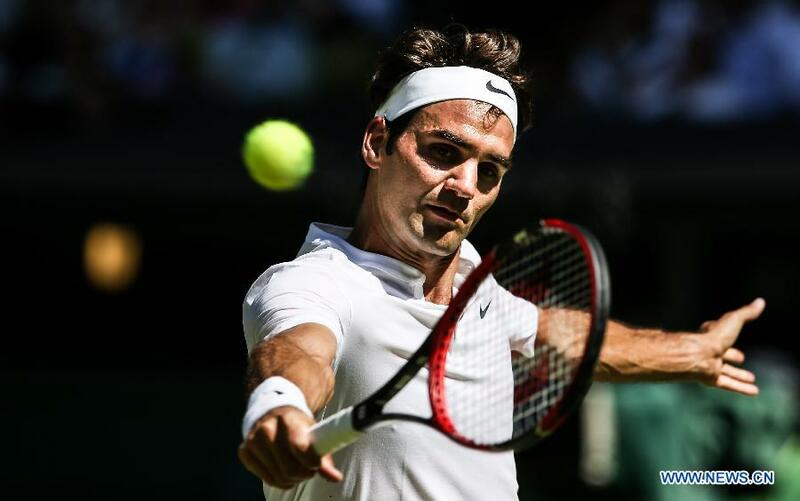 As well as his record haul of Grand Slam titles, which includes a record eight wins at Wimbledon, Federer has won a record six ATP Finals and topped the rankings for a record 310 weeks－including 237 straight. Federer surgically broke serve in the first game and took the set on his fourth set point. The second set was more even, but Tsitsipas made the first big mistake in dumping an easy shot into the net to lose serve for a 5-4 deficit. Federer then held serve to love to join Connors in the century club. "I don't know if Stefanos was born when I won my first title," Federer joked following a video tribute that included his first title in Milan in 2001. "It's a privilege to play against potential champions because I'll be watching them on TV. It was a treat to play Pete Sampras and Andre Agassi. I'm sure Stefanos will have a wonderful career. Federer has won at least one ATP trophy in nearly every season since his first title, only missing in 2016 when he sustained a knee injury. The Swiss won 24 of his 100 titles in consecutive finals from Oct 2003 to Oct 2005 and the magnitude of his achievement was not lost on Tsitsipas. "Just thinking about it, getting to 100 is completely insane, I don't know how he did that. I'd be happy with 100(match) wins... I'm joking," he said. "It's an honor playing Roger. I've been idolizing him since I was six and watching him on TV. At the end of the match I was just like you guys (reporters), wearing a big smile." Swiss maestro's 100th ATP tournament victory puts him second only to Connors.